Let’s go for ice cream! Frozen treats are a favourite part of perfect seaside days in Morecambe, and you can enjoy traditional Italian ice cream in Happy Mount Park each day of the week. Our ice cream vans can be found, dotted around the park grounds, selling our own Lewis’s Ice Cream throughout the summer months as well as a wide selection of ice lollies and cold drinks. Lewis’s Ice Cream has been produced to our very own family recipe for three generations. Our delicious dairy ice cream is made using only natural ingredients, including farm fresh full cream milk and butter. 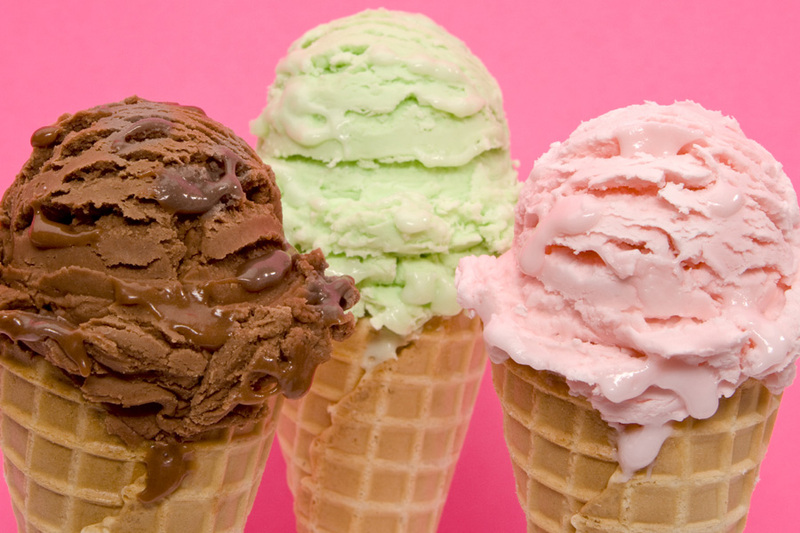 As well as classics such as vanilla and mint chocolate chip, we bring new and interesting flavours to our Happy Mount Park customers throughout the seasons. Our ice cream vans won’t be out and about in poor weather or the winter months, but you can still enjoy Morecambe’s finest ice cream at Café Rastelli 7 days a week. Ice cream cones and floats are to be found on the menu at the café in Happy Mount Park at any time of year, and a scoop of delicious ice cream makes a popular accompaniment to any selection from Café Rastelli’s famous cake stand. There are many family activities to enjoy at Happy Mount Park such as Adventure Golf, trampolines, a train ride around the park, and outdoor music & entertainment in the summertime. If you’re trying to stay cool in the heat the Splash Park is great fun and if you need to escape the harshest hours of sun the Soft Play facility in the café building provides a fun play area for children 10 and under. Whether you’re visiting Happy Mount Park with family or you’re meeting a friend for tennis, come visit our ice cream vans and of course Café Rastelli, to discover Lewis’s Ice Cream and the taste of British summertime 12 months of the year!